What do soccer and cars have in common? Neither of them are as cool as Rocket League. 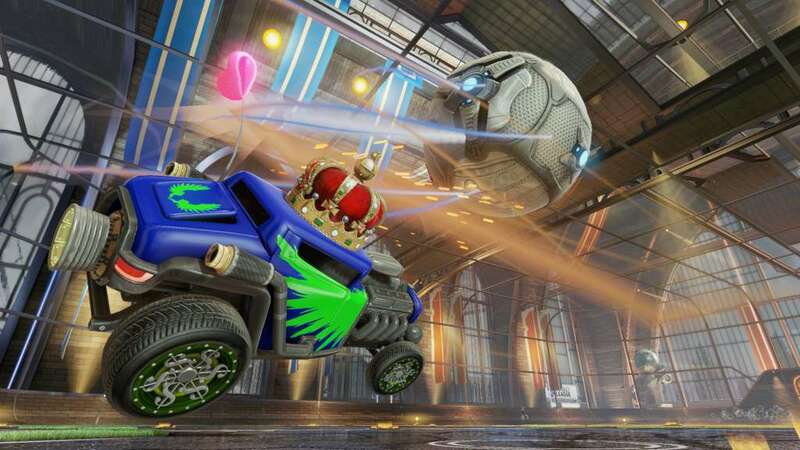 This one-of-a-kind competition lets you drive a custom vehicle in a revamped soccer arena. Roll up the walls, do sick tricks, and try to smash the ball into your opponent's goal. 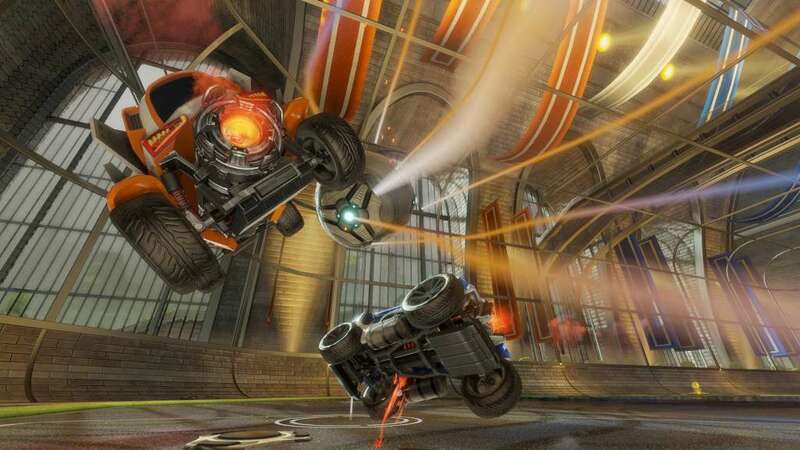 Rocket League is a hugely popular game from a tiny studio. They started out on PS3 with Supersonic Acrobatic Rocket-Powered Battle Cars in 2008 and have leveled up their game in the years since then. The latest game from the designers at Psyonix was nominated for hundreds of awards in 2015 when it released including Game of the Year! Critics love it, fans can't stop playing it. So the only question is: why don't you have it already? Buy Rocket League today and boost into action! Physics is fun - Learning about physics in the classroom is boring, but playing physics games is awesome. 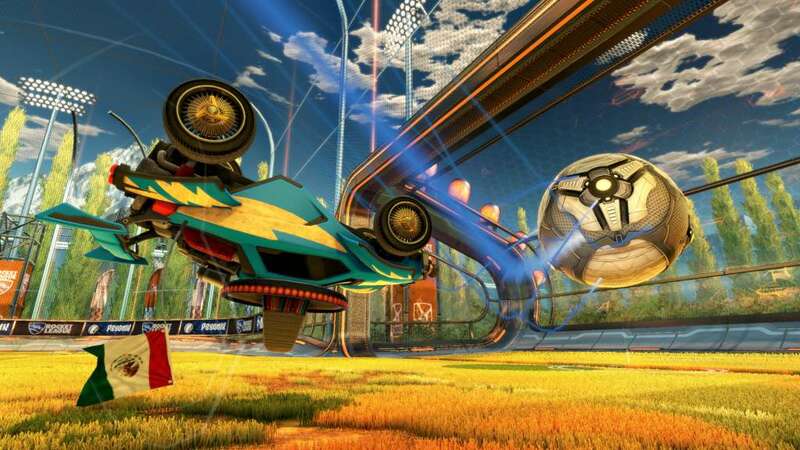 Rocket League uses the Unreal Engine 3 for a seamless, flowing experience. Your car can go up walls, boost in mid-air, and bounce off other cars or the ball at crazy angles. Part of what makes Rocket League so exciting is that every little change in direction or speed can make for a completely different outcome on defence or offence. This game is a crazy mash up of a demolition derby and a soccer match, but somehow it's also incredibly realistic. The controls are easy to master so you won't waste time learning. Get one of the coolest games and have some good old gaming fun! Solo swag - There's tons of individual content to enjoy in Rocket League. You can start a career for yourself in the new Season Mode that pits you against AI teams. Pick your teams colors, cars, and steer your way to the championship. Beyond the pitch, there are lots of unlockable items and vehicles for you to add to your collection. Everything you collect can be combined to make the vehicle of your dreams. Switch up the color, model, rims, decals, hat, and much more on your car. 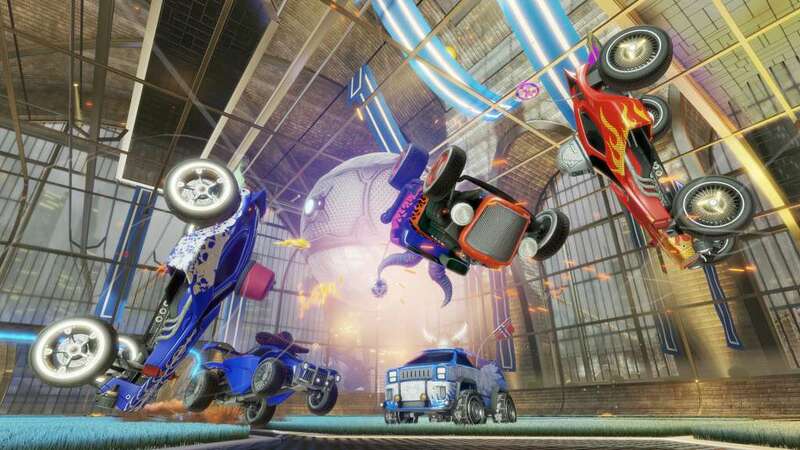 The Battle-Cars in Rocket League can be designed using over 10 billion possible combinations! Your wheels, my wheels, hot wheels! 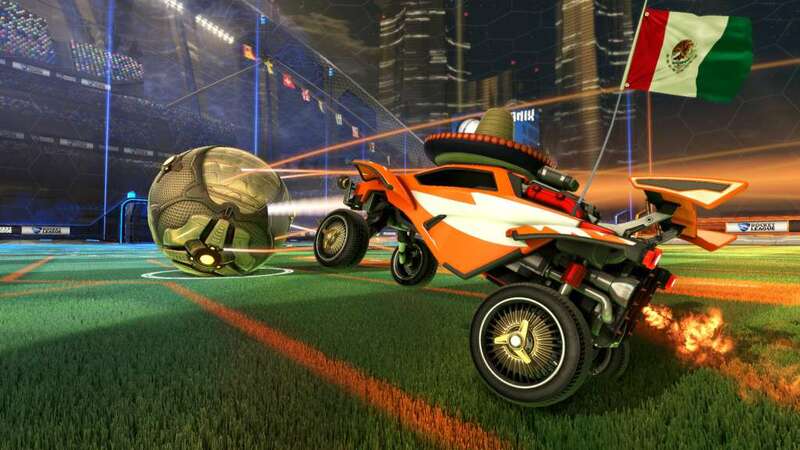 Rocket League is a game with an old school mentality and new school design. Play split screen with up to four players and online in eight car clown fiestas. The mayhem and creativity you express in solo play gets multiplied when you go online. Check out other car designs and make some goofy gamer friends. 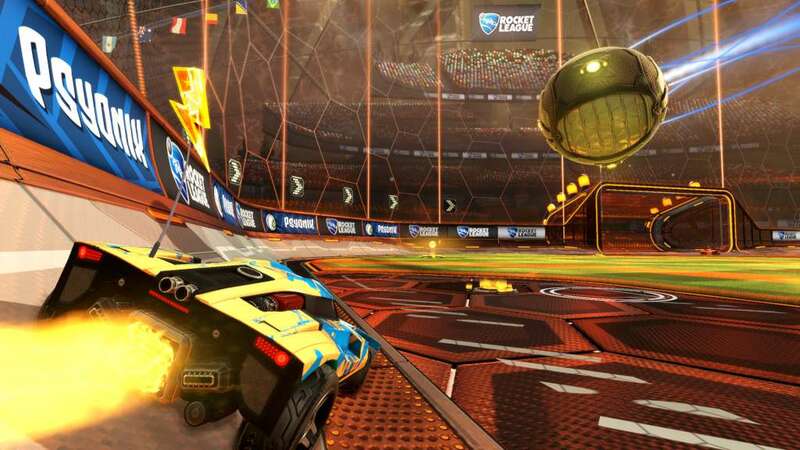 Rocket League is also constantly being changed and updated with new content packs. Grab some DLC adventures, roll out a sick hot wheels car, or explore the latest community created maps. And last, but definitely not least, make and watch sick replays thanks to the built-in video creation tool. Rocket League highlights are like nothing else. Try it today!